Getting going in the mornings can be tough, somedays we just don't have that "get up and go" attitude and we need a little help. Instead of just reaching for another cup of coffee, why not try a smoothie. Smoothies are a great way to start your day. Not only can you pack them full of healthy ingredients, customizing them completely to suit your taste buds needs. But they are also easy to digest, meaning your body responds quickly to them. Key nutrients from your chosen ingredients release into your blood stream, producing much needed energy and brain power. This smoothie is ideal for the morning - It tastes just like a mocha, but is crammed full of protein, fibre and other key minerals. If you're wanting to know more about the health benefits of Herbalife, and why we choose the Herbalife F1 checkout the Project Happy Health Fit website here. Almond milk is made from ground almonds and is lower in calories than other milks as long as it is unsweetened. It's also free of cholesterol, saturated fat, and is naturally lactose free. Even though almonds are a good source of protein, almond milk is not. Almond milk is also not a good source of calcium. 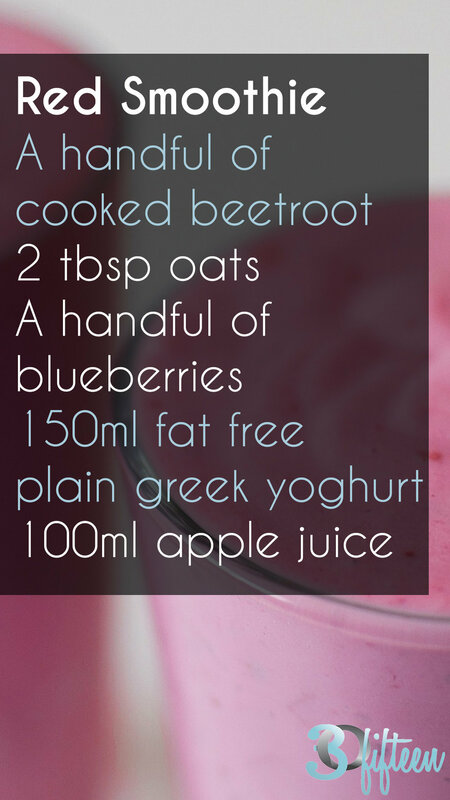 This is a great smoothie to have the morning after a late night. It's full of antioxidants, that will detoxify the body, give you energy and boost your mood. Beetroot: is of exceptional nutritional value; especially the greens, which are rich in calcium, iron and vitamins A and C. Beetroots are an excellent source of folic acid and a very good source of fibre, manganese and potassium. 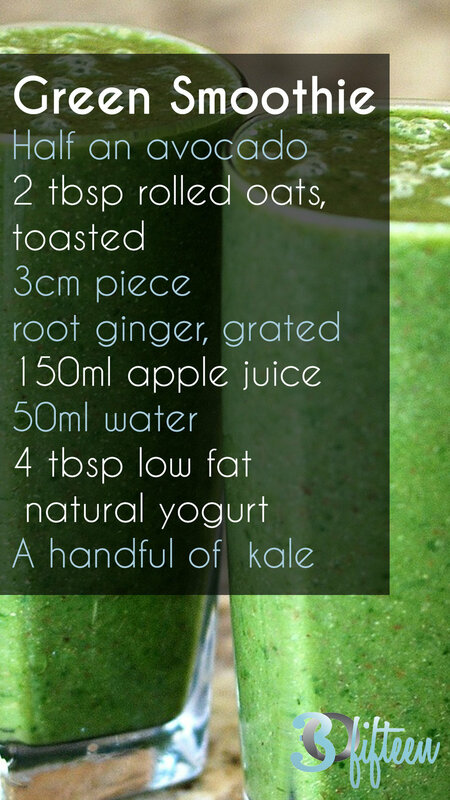 We couldn't very well miss out a recipe for the 'oh so popular' green smoothie. Green smoothies are our jam, and this recipe is one of our fav's especially for mornings where you need a bit more a kick! The oats will give you that stable energy release, while you're body is nourished by all the key nutrients in this baby! Kale: An excellent source of vitamin K, vitamin C, vitamin A, manganese, and copper; a very good source of vitamin B6, fiber, calcium, potassium, vitamin E, and vitamin B2; and a good source of iron, magnesium vitamin B1, omega-3 fats, phosphorus, protein, folate, and vitamin B3.